San Diego is known for its sun, sand, and wonderfully laidback atmosphere, but the city is also home to a wide array of excellent Italian food. Plenty of culinary delights await, including artisan gelato, freshly made pasta, and freshly caught seafood. Head to Little Italy to experience some of the city's oldest and most authentic Italian restaurants or sample some of the more contemporary offerings to be found right downtown. Buona Forchetta is owned by Matteo Cattaneo, a born-and-raised Italian who was determined to bring a taste of his homeland to San Diego. Guests can choose from a wide selection of appetizers, salads, pizzas, pastas, and meat and seafood dishes. The excellent wine list is sourced from around the world and has a perfect pairing for every meal. The restaurant prides itself on its authentic Neapolitan wood-fired pizza oven, which was handmade by the renowned oven-maker Stefano Ferrara. Plenty of gluten-free and vegetarian items are available and the restaurant offers daily specials to showcase the best ingredients of the moment. 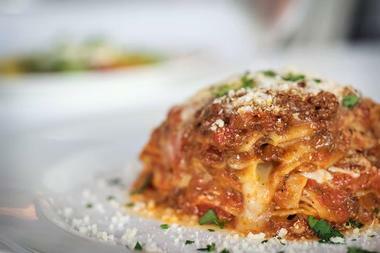 Bice San Diego is known for serving traditional Italian food in an upscale setting. The food is prepared with the freshest ingredients available, including organic grass-fed meat and free-range chicken. The menu changes according to the season, but expect to find a wide variety of appetizers, salads, and meat, seafood, and pasta entrees. The restaurant also prides itself on its excellent selection of cheeses, many of which are imported from Italy. An elegant private dining room is available for large groups, and guests who reserve the space will be given a large custom menu from which to choose. 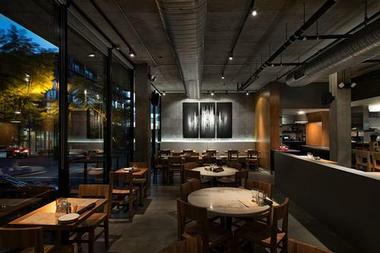 Opened in 2009, CUCINA urbana is a new breed of modern Italian restaurant. The food served here is a sort of Californian-Italian fusion and it's all made using ingredients that are locally sourced and organic whenever possible. The menu changes often, but expect to see a good selection of appetizers, salads, pizzas, meat entrees, and pasta dishes. Guests can also choose from an excellent selection of meats and cheeses. There is a wine shop attached to the restaurant and diners can purchase a bottle of wine at retail price to enjoy with their dinner for a small corkage fee. If you're looking to fill a carbohydrate craving, Devine Pastabilities is the place to go. 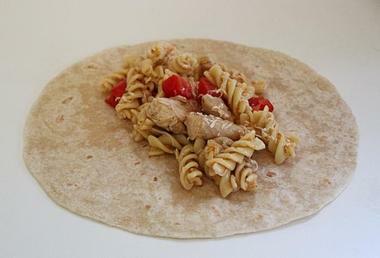 The restaurant's signature dish is the "Torpasta," an Italian sesame seed sub roll hollowed out and stuffed with pasta. Located in the heart of Little Italy, Bencotto offers artisanal Italian food in a chic, modern setting. Diners can choose from a wide selection of appetizers, including risotto balls, calamari in a spicy garlic tomato sauce, and an excellent selection of meat and cheese platters. The menu also offers soups, salads, meat and seafood entrees, and gourmet pasta dishes; all the pasta is 100% organic and made fresh by hand every day. Plenty of gluten-free and vegetarian options are available. There is plenty of free street parking, or guests can take advantage of the valet parking for a small fee. Opened in 2003, Buon Appetito Restaurant invites guests to come enjoy their authentic Italian hospitality and food that has been prepared using traditional family recipes. Choose from a wide range of appetizers, salads, soups, pasta dishes, and meat and fish entrees, and expect to find classic favorites like caprese salad, cheese and spinach ravioli, and veal shank braised in red wine. The wine list includes both foreign and domestic options and wine can be purchased either by the glass or by the bottle. The restaurant also has an extensive dessert list, which includes options like tiramisu, ricotta cheesecake, and stuffed cannoli. Civico 1845 is a uniquely contemporary restaurant that serves delicious modern versions of classic Italian favorites. 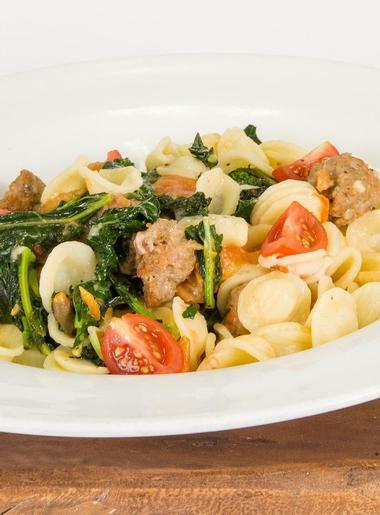 Pastas, breads, and some cheeses are handmade from scratch and the menu offers everything from appetizers to gourmet pastas to meat and seafood entrees. The owners have put an emphasis on sustainability; the bar and the dining area were built using natural reclaimed wood and ingredients are seasonal and locally grown whenever possible. When it comes to the food, gluten-free options are available, as are a number of other lighter, healthier options. Guests can also choose something from the restaurant's unique vegan menu. With two locations in San Diego, Davanti Enoteca offers rustic Italian food in a warm and welcoming setting. The menu has a magnificent selection of appetizers, salads, pizzas, pastas, and meat and fish entrees. There are also several small plates that are perfect for sharing and the food is nicely complemented by an extensive wine list. A special brunch menu is available on Saturday and Sunday mornings and happy hour takes place every day between 3 p.m. and 6 p.m. The restaurant also hosts a number of other special events, including wine dinners and cooking classes. 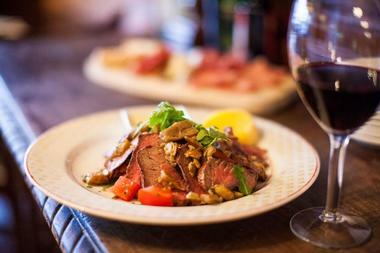 Located in Pacific Beach, Enoteca Adriano is known for serving delicious, rustic Italian food. The intimate, romantic atmosphere makes this an excellent date-night destination, but there is also plenty of space for large groups. Guests can choose from a wide range of appetizers, soups, and salads; the restaurant also offers several special burrata dishes. 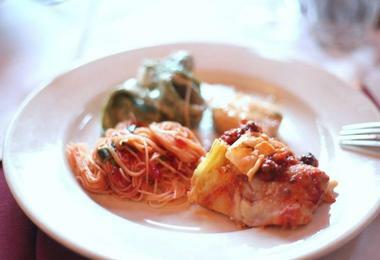 For the main course, there is a variety of traditional pasta dishes as well as several meat and fish entrees. The restaurant also has an excellent wine bar, which boasts wine from 13 different regions and offers wine flights and wine pairings. Filippi's Pizza Grotto has been family owned and operated since 1950 and all the food is prepared using traditional family recipes that restaurant founder Vincent DePhilippis brought with him from Italy. There is a good selection of traditional Italian pizzas and the menu also offers lighter fare like soup, salads, and sandwiches. There are a number of pasta dishes as well, including spaghetti, ravioli, lasagna, and macaroni. Dinner specialties include eggplant parmigiana, veal scaloppini, and linguine with clams. An Italian deli is attached to the restaurant for guests who want to bring a taste of Italy home with them. The founder of Mimmo's Italian Village was born in Sicily and the restaurant has been family owned and operated for three generations. The menu has an excellent array of salads, specialty pastas, seafood dishes, pizzas, and meat entrees. There are also a number of small plates that are perfect for sharing. The lunch menu offers subs, pizzas, calzones, salads, and several pasta and meat dishes. Happy hour specials are offered every Monday to Thursday between 3 p.m. and 6 p.m. and all wine bottles are half price every Wednesday. Private events can be arranged for groups of 15 to 65 people; these require a set menu. Consisting of both a restaurant and a deli, Mona Lisa Italian Foods has been in operation since 1956. The deli sells Italian cheeses, meats, breads, desserts, and fresh produce as well as and take-home sandwiches and salads. Items on the menu include hot and cold sandwiches, soups, salads, and pasta dishes. There is an excellent selection of pizzas as well, all of which are made fresh using homemade sauce and dough. Guests can also choose from a variety of veal, chicken, seafood, and vegetarian entrees. The restaurant is open for lunch and dinner 7 days a week. Monello serves cuisine inspired by the contemporary street food of Milan, including appetizers, handcrafted pastas, pizzas, and meat and seafood entrees. House specialties include veal ravioli and butternut squash gnocchi, and Tuesdays and Wednesdays bring the opportunity to try a specialty pasta or risotto dish cooked in a 40-pound half wheel of cheese. Happy hour is held every day of the week between 4 p.m. and 7p.m. and complimentary plates are offered with the purchase of an alcoholic beverage. Drinks include wine, beer, and cocktails created using house-made vermouth carefully crafted from a secret recipe. 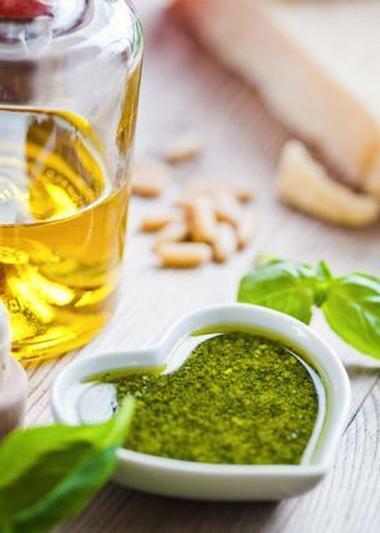 Founded by a retired Italian couple, PARMA - Cucina Italiana specializes in Northern Italian cuisine made with the freshest ingredients available. 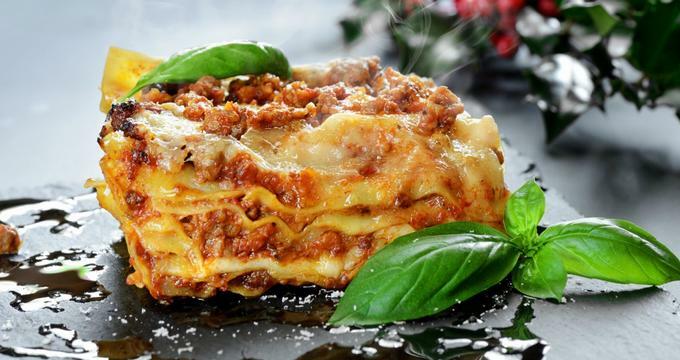 The menu offers plenty of appetizers, meat and cheese platters, and special pasta dishes such as egg noodle pasta with smoked salmon, spinach and ricotta ravioli, and traditional lasagna. 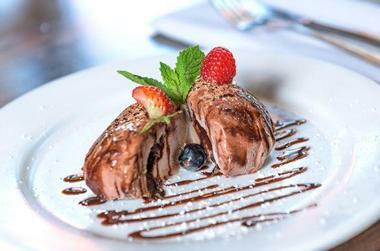 There is also a selection of meat entrees like chicken piccata and beef braised in red wine sauce, and desserts include Nutella profiteroles and lemon custard pie with pine nuts. Groups of up to 20 people are able to reserve space for special events, which are catered with a fixed gourmet menu. Salvatore's Cucina Italiana was established in the late 1980s and guests of the restaurant can expect a unique fine dining experience in an elegant atmosphere. 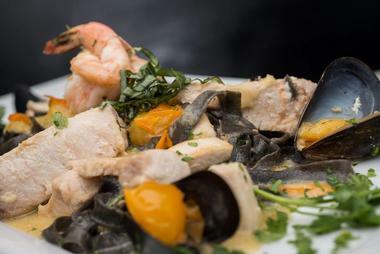 The menu starts off with appetizers like PEI black mussels in spicy tomato broth and sautéed sweet and sour eggplant and moves on to specialty pasta dishes such as house-made veal cannelloni and the restaurant's signature lasagna. There is also an excellent collection of meat and fish entrees. Happy hour occurs every Monday to Friday from 5 p.m. until 7 p.m. and specials are offered on a selection of beers, wines, cocktails, and appetizers. With an excellent location on Hillcrest's Restaurant Row, Busalacchi's A Modo Mio serves authentic Sicilian food in a warm, welcoming atmosphere. The menu offers appetizers, soups, salads, pasta, and meat and fish entrees, and house specialties include butternut squash ravioli, Caesar salad, and chicken topped with prosciutto, mozzarella, and cream sauce. The pasta is made fresh every day and take-home pasta is sold by the pound. Weekly specials include half-price bottles of wine on Monday, a three-course dinner special for $25 on Tuesdays, and half-price martinis on Wednesday. Live music is played every evening from Thursday through Sunday. Formerly known as Giulio's of Pacific Beach, Jack & Giulio's Italian Restaurant has been providing guests with authentic, high-quality Italian food since 1961. The specialty here is the shrimp scampi, but the menu also offers a good assortment of delectable appetizers, freshly made salads, meat entrees, and other seafood dishes. There are also a number of specialty pasta dishes that the restaurant makes from scratch; gluten-free substitutions are offered for some of these dishes. Alcoholic beverages include bottled beer, a variety of signature Italian cocktails, and red and white wines sold by the bottle, half bottle, and glass. Located in the Gaslamp District, Operacaffe serves award-winning food in a romantic Italian-style setting. 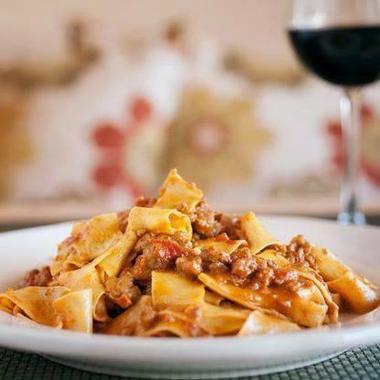 Owner Patrizia Branchi grew up in Florence and later opened a restaurant there, and today Operacaffe serves many of the same Tuscan dishes that her previous restaurant's Italian customers knew and loved. The menu offers appetizers, soups, gourmet pasta dishes including some special seafood options, meat and fish entrees, pizzas, and a wide variety of healthy salads. Happy hour takes place every Monday through Friday between 2 p.m. and 5 p.m. and a good selection of food and beverages are available for only $5. 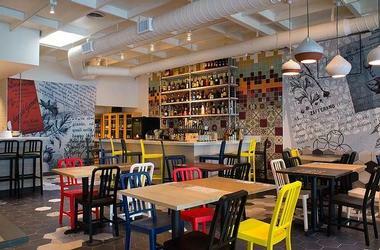 Owned and operated by Sicilian chef Vincenzo Lo Verso, Osteria Panevino is located in the historic Gaslamp District. The breakfast menu offers egg dishes, waffles, pancakes, and a unique breakfast pizza, while soups, salads, sandwiches, and a selection of entrees are available for lunch. Dinner brings even more options, including appetizers, risotto, pizza, and pasta with gluten-free alternatives. There is a private dining area for special events and catering is possible. The restaurant is open from 10 a.m. until close every day of the week and happy hour takes place Monday to Saturday between 4 p.m. and 6:30 p.m.
With four locations scattered throughout San Diego, Pappalecco is committed to bringing a taste of Tuscany to California. Guests can choose from a wide range of pizzas, paninis, and salads and plenty of vegan, gluten-free, and vegetarian options are available. 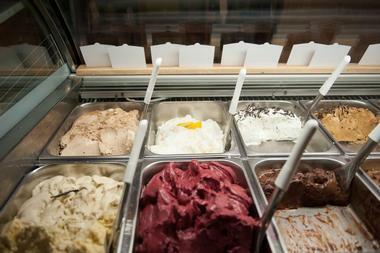 The gelato is carefully handcrafted using traditional Tuscan methods and contains only five main ingredients. All the breads and pastries served are made from scratch every day and ingredients are sourced locally whenever possible. The restaurant serves coffee made from beans roasted right in the Temecula Valley. All of Pappalecco's locations are open 7 days a week for breakfast, lunch, and dinner. 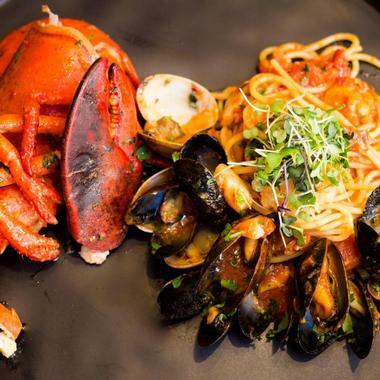 Located in the beautiful Ocean Beach neighborhood, Pepe's Italian specializes in traditional Italian food with an East Coast twist. The family-run restaurant is owned by Ed and Darla Bebrin; Darla is an artist who has some of her work showcased in the restaurant. 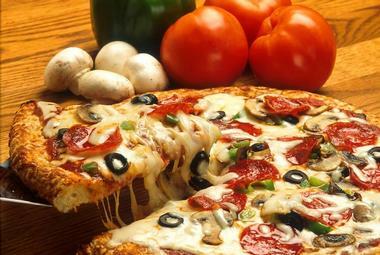 The menu has an excellent selection of pasta dishes, salads, hot sandwiches, calzones, and gourmet pizzas. Guests can choose from a wide range of toppings for their pizzas and desserts are made fresh every day. Reasonably priced lunch specials are offered Tuesday to Saturday between 11 a.m. and 4 p.m. and the restaurant is closed on Mondays. Open since 1998, Pomodoro Ristorante Italiano adds a bit of contemporary flair to classic Italian specialties. The menu offers a wide range of appetizers, salads, meat and seafood entrees, pasta dishes, and house specialties including homemade gnocchi and sea scallops in a white wine garlic sauce. Plenty of thought has been put into the extensive wine list and many special bottles are prominently displayed in a large wine rack on the wall. There is a patio for anyone who would like to enjoy a meal out in the fresh air and the restaurant can also provide catering for special events. Sardina's Italian Restaurant & Bar is a casual, family-friendly eatery that serves classic Southern Italian comfort food, including calzones, pasta dishes, and build-your-own pizzas. Lighter fare is also available, such as hot and cold sandwiches, appetizers, and salads. House specialties include eggplant parmigiana, chicken picatta, calamari steak, and shrimp scampi. Anyone wishing to enjoy an alcoholic beverage with their meal can choose from a collection of wines, cocktails, and beers on tap. Happy hour takes place 7 days a week as well as during all televised NFL games and special prices are offered on select appetizers, two-topping pizzas, and alcoholic beverages. Offering a unique farm-to-table dining experience, Solunto Restaurant & Bakery is located in historic Little Italy. The menu includes a wide variety of appetizers, salads, meat entrees, pizzas, and pasta dishes, including the option to choose from an excellent selection of gourmet pastas and sauces. The lunch menu offers many of the same items as the dinner menu and also includes an assortment of both hot and cold Italian subs. Breads and pizzas are carefully handcrafted and guests can also treat themselves to one of the restaurant's artisan coffees, Italian sodas, handcrafted pastries, or gelatos.